Cosmetic ear surgery, called otoplasty, aims to correct the shape and position of the ears, especially when they are protruding or too prominent, which can alter the balance of the whole face, cause social embarrassment, especially in school where mockery on protruding ears is frequent. In addition to cosmetic issues, this can give someone a complex and a lack of self-confidence, which can affect their well-being. This operation gives your ears a harmonious shape and position so that you no longer notice this feature that once attracted so much attention. Removing this complex, especially in children, often allows a dramatic improvement in behaviour and development. Ear off-set at a right-angle and replaced by remodelling the cartilage without external scarring. Your motivation should not come from your family and should especially not be based on parental wishes for their child. It should be personal. The choice to come for a consultation for ear surgery usually follows some reflection between the child and their parents, during which the child has expressed suffering in relation to the problem of protruding ears. You have to listen to their request, which is sometimes difficult for him to express; being mocked at school, for example, is not easy to live with and is sometimes hidden by the child. The operation can be performed from the age of 7. Then, the ears have stopped growing have taken shape and are almost full-size. Often, they contrast all the more with the size of the skull, which is not yet fully grown. A protruding ear be due to several reasons, depending on the cartilage concerned. One of the most common abnormalities is the absence of a fold in the outer part of the pinna (antihelix), which is flat instead of having the natural fold that brings it back (fold of the antihelix). A flat pinna also appears larger and projects outward. Folding the ear backwards (folding the antihelix) gives it a normal position and makes it appear smaller. Another common anomaly is an excessively large conch, which causes the pinna to project forward. We then need to make a reduction or a fold in the conch to bring the ear towards the back. These two problems are quite often connected and must be corrected at the same time for an optimal result. 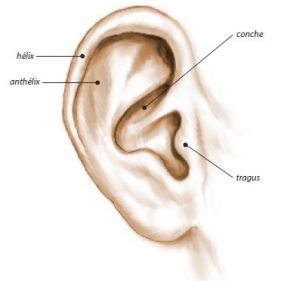 Anatomical diagram of the ear. When the request concerns a child, during the first consultation, it is essential that they feel very much at ease by giving them reassuring information: this very frequent problem affects many children and correcting it is simple. The procedure is carried out under local anaesthetic and usually does not require a stay in hospital. Also, it can be done during school holidays so as not to miss a school day. The child can return to school without a dressing. I then examine the ears, which are often quite asymmetrical and will propose one or more solutions, taking the anatomy into account and preserving a natural appearance. 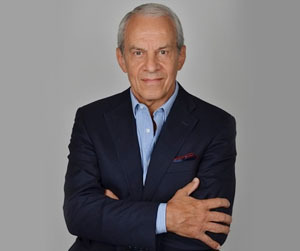 So you can visualise the desired result, in front of a mirror, I will manually recreate the result and show the effect of the recommended procedures by folding the ear into the right position; then, I will show you photographs showing the surgical results of cases similar to yours so you can properly understand objective of the intervention. The child will be able to ask all their own questions. It is important that the parents let him or her speak for themselves and do not answer for him or her, keeping their own questions to ask following the interview between the surgeon and the child. The child will be all the happier with the result because he himself has played a crucial part in this process and its success from the start. This is one of the reasons why I perform the operation under local anaesthetic, allowing him/her to experience the operation. A child can then feel proud in front of his/her parents, brothers and sisters and in relation to himself, that he/she has got through the operation courageously. It is essential that you and I have a good understanding when deciding to operate. I will then give you all the information on the proposed techniques along with the information sheets from the Société Française de Chirurgie Plastique Reconstructrice et Esthétique (French Society of Plastic, Reconstructive and Cosmetic Surgery) as well as a detailed estimate of the costs for the options chosen. 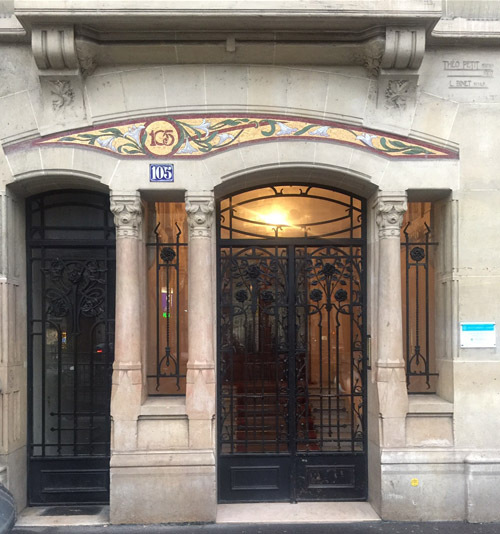 You will then be able to progress your project and get ready for a second consultation when you will be able to ask any additional questions to help you make a decision and prepare for the operation. It may be necessary to carry out a blood test, depending on the type of anaesthetic (local or general). Cutting the hair is not essential and it does not matter whether it is long or short. No medication containing aspirin or anti-inflammatories can be taken within 10 days of the procedure. It is not necessary to fast for an operation under local anaesthetic; on the contrary, drinking and eating lightly during normal mealtimes is recommended. A stay in hospital is usually limited to half a day in a day hospital. The operation lasts approximately 1.5 hours, depending on the planned procedure and its complexity; then the patient can go home after a few hours of monitoring following the operation. A local anaesthetic is administered, which is not very painful and generally very well tolerated, even by children from the age of 7. Before you go to the operating theatre, in your room, I will go over the precise goals with you as we agreed during the consultations. You can then always make recommendations and ask any questions. I then draw the lines and marks on your skin to guide the operation and the lines of the incisions. I approach the cartilage to be modified through a single incision hidden behind the ear. The cartilage is folded into the right position as I showed you manually in front of the mirror during the consultation. 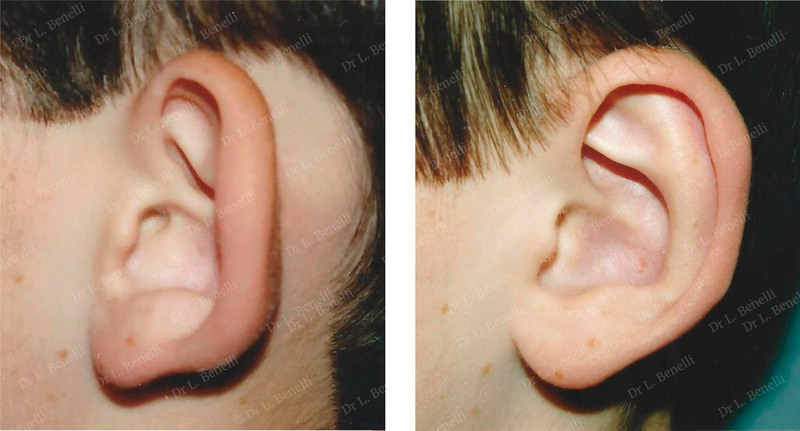 For the result to look natural over the long term, there should be no complete section of cartilage under the skin of the anterior surface of the ear that could leave visible prominent cartilage protrusions here. 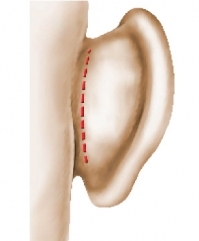 The cartilage must be folded and not cut to avoid these imperfect results. The new shape is supported by non-reabsorb able stitches placed deep behind the cartilage, making them invisible. The skin of the posterior surface of the ear is then repositioned over this new shape and any excess skin is removed along the incision behind the ear. The stitches are very fine and absorbable and do not need to be taken out. At the end of the operation, to stabilise the new shape, a soft shaping bandage is applied to the ear to immobilise the new structure and a bandage is wrapped around the head. The dressing can be removed 3 days after the first post-operative consultation. When you go back to your room, patients who have had a local anaesthetic can eat a small snack and after a period of monitoring, you can go home with just the dressing and bandage as protection. Any pain is controlled by prescribing analgesics. There may also be bruising and swelling in the ears, which can take 5 to 6 days to almost completely disappear. Time out to rest and recover should be planned for 6 days. The dressing is removed 3 days after the operation during the first post-operative consultation. As the stitches used are absorbable, they do not need to be removed. The scar should be cleaned daily with a local antiseptic for 8 days. Exposure to the sun: no direct exposure for 6 weeks, then exposure is allowed using a sunscreen with maximum protection factor. Sport: Individual sports, such as gymnastics or running, can be resumed about fifteen days after the operation; team sports or sports involving a risk of trauma to the face (combat sport, ball, etc.) must not be resumed before 3 months. An improvement can be seen straight away when the dressing is removed, despite any oedemas (swelling) and bruises that prevent a full assessment of the final result. After about ten days, progress will already allow us to appreciate the result, even if stabilisation takes 1 to 6 months. The final result is really noticeable from 6 months after the operation. In addition to a cosmetic improvement, this procedure has a beneficial impact on the personal well-being, behaviour and development of the patient who is relieved of their complex. The cost of the operation will depend on the procedure to be performed, the duration of the operation and any hospitalisation costs. Ear surgery can be covered by social security and, if necessary, by your mutual insurance company if the defect causes personal and social discomfort that is detrimental to social development and life. This is particularly the case for children who are facing mockery at school. A detailed estimate is given to you during the first consultation according to the options chosen. You then have a minimum legal period of 15 days to reflect and take your project forwards. The first consultation costs €50. The following consultations, before and after the operation, are free.